TAMPA RED-DYNAMITE! THE UNSUNG KING OF THE BLUES. Underrated and one of the unsung heroes of the blues. That’s a perfect description of Florida born guitarist, Tampa Red. He was, without doubt, one of the most influential blues guitarists ever. Tampa Red influenced everyone from Big Bill Broonzy and Robert Nighthawk, through to Muddy Waters, Mose Allison and Elmore James during a career that spanned over thirty years. Tampa Red’s recording career began in 1930, and lasted right through until the sixties. However, only four of his singles reached the top ten in the US R&B charts. 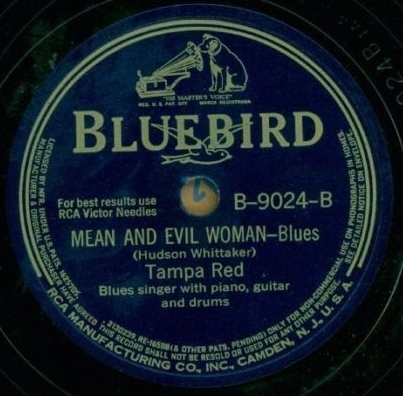 This was whilst Tampa Red was signed to the Bluebird and RCA Victor labels. Part of this period is covered in a new Tampa Red compilation released by Ace Records, Dynamite! The Unsung King Of The Blues. It’s a fifty tracks double album, which concentrates on the music Tampa Red released on Bluebird and RCA Victor between 1942 and 1954. By then, Tampa Red was one of the biggest name in the blues. His story began in Florida, in 1904. The future Tampa Red was born Hudson Woodbridge, on January 8th 1904, in Smithsville, Georgia. Tragedy struck early in Hudson’s career, when both of his parents died. This resulted in Hudson moving to Tampa Bay, Florida, where he was brought by his aunt and grandmother. Hudson adopted their surname, and became Hudson Whittaker. Growing up, one of the major influences on Hudson, was his elder brother Eddie. Eddie was a musician. He played guitar, and had been taught by a veteran musician Piccolo Pete. Now Eddie was becoming an accomplished player, Hudson watched on eagerly. Soon, he was copying and replicating the blues licks his brother played. It wasn’t long before Hudson was a better guitarist than Eddie. So it was no surprise that Hudson would embark upon a career as a musician. This happened in the early twenties, when Hudson Whittaker moved to Chicago. By then, Hudson had already mastered the slide guitar. When he arrived in Chicago, Hudson Whittaker became Tampa Red. Tampa was a nod to his old hometown, while Red was either after the shock of red hair he sported or his light skin tone. Little did anyone who met the newly named Tampa Red realise that a blues great had just been born. Tampa Red got his break when Ma Rainey was looking for a new guitarist. She was one of the biggest names in blues music. So this was something of a coup for a relative newcomer. However, a year later, and Tampa Red’s was well known across America. In 1928, Tampa Red and Georgia Tommy Dorsey recorded It’s Tight Like That. It went on to sell in excess of 500,000 copies. Suddenly, Tampa Red’s name was on everyone’s lips. The twenty-four year old had come from nowhere, to become one of the biggest selling bluesmen of the time. And he wasn’t going away. Not long after the release of It’s Tight Like That, Tampa Red became friends with one of Chi-Town’s music publishers, Lester Melrose. He published many of the songs Tampa Red penned and for many years, was was his de facto manager. This relationship lasted right through to the sixties. However, as well as a publisher and business manager, Tampa Red had also acquired a wife. It’s fair to say that Tampa Red and his Frances Whittaker were an unlikely pairing. She was much older than Tampa Red, and was almost maternal in the way she looked after her new husband. She was quite happy looking after Tampa Red and his musical friends who came to stay. Although the newly weds were an unlikely pairing, Tampa Red enjoyed a stable home life. He was the polar opposite to many bluesmen. They drank excessively, took drugs, smoke and brawled. Some went to jail. A couple even cheated the hangman’s rope. Not Tampa Red though. Instead, Tampa Red was establishing a reputation as a musical pioneer. He came a National steel bodied resonator guitar. In the days before bluesmen plugged in, it was a game-changer. Importantly, the National was much louder. For Tampa Red playing in large, often noisy halls, this would help. What also appealed to Tampa Red, and many other bluesmen, was the National looked good. It was showy, brash and flashy. When Tampa Red played single string runs, the audience were awe struck. Here was a guitar that stood out from the crowd. So did the man playing it. His bottleneck style wowed audiences wherever he went. Unsurprisingly, Tampa Red was always in demand as a guitarist. Right through to 1932, Tampa Red and Georgia Tommy Dorsey enjoyed a successful partnership. However, nothing lasted forever, and in 1932, the two men parted company. So, Tampa Red began working as a session musician. Such a talented guitarist as Tampa Red was always going to be busy. 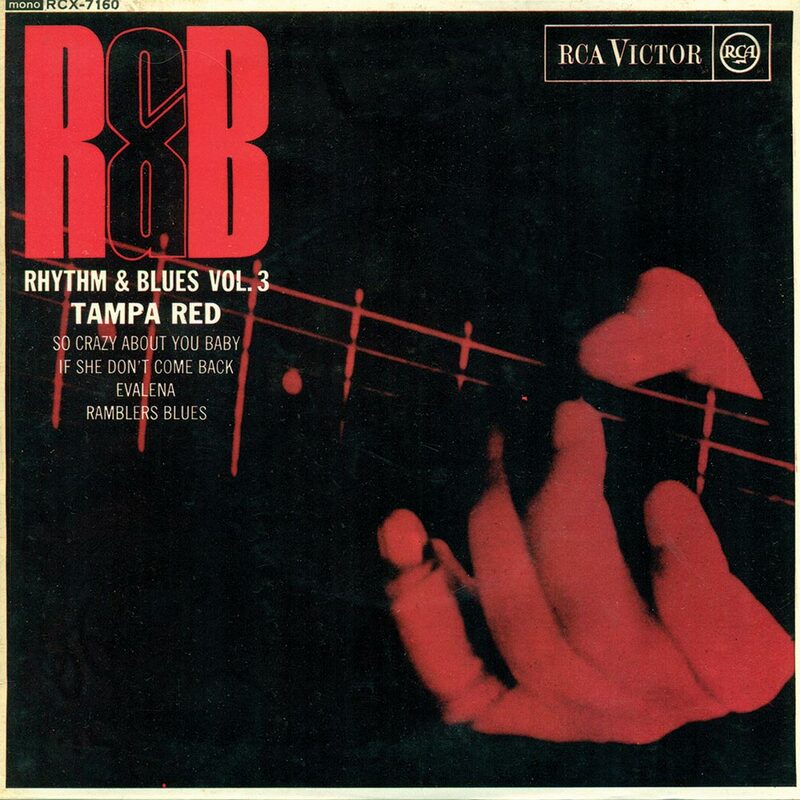 Everyone from Sonny Boy Williamson to Big Maceo and Memphis Minnie bought Tampa Red onboard to play guitar. Then in 1934, Tampa Red signed to Victor Records. This was the start of a relationship that lasted nineteen years, and includes the years covered on the Ace Records’ compilation, Dynamite! The Unsung King Of The Blues. However, that compilation covers the period between 1942 to 1954. Before that, Tampa Red would form a new band and a new sound. Now signed to Victor Records, Tampa Red formed The Chicago Five. His new group consisted of session musicians. They were responsible for the Bluebird sound, which went on to influence jump blues and then rock ’n’ roll. During this period, everything in Tampa Red’s life was going to plan. During the remainder of the prewar years, Tampa Red was one of the most respected figures in blues music. His records were selling well and Tampa Red compared to other bluesmen, he was reasonably wealthy. He was certainly able to live comfortably, and enjoyed spending time with two of his best friends within music, Big Maceo Merriweather and Big Bill Broonzy. Knowing how lucky he was, Tampa Red continued his open house policy. Still, when any of Tampa Red’s musical friends came to play in Chicago, Tampa Red allowed them to stay at his home. Often, they were allowed to use it as a rehearsal space. This was also the case with musicians arriving from the Mississippi Delta looking for a new life. As the next generation of blues men came chasing the dream, Tampa Red gave them somewhere to stay. In this corner the blues capital of America, newcomers and legends were made welcome by Tampa Red, who was about to enjoy the most successful period of his career. It’s documented on Dynamite! The Unsung King Of The Blues. 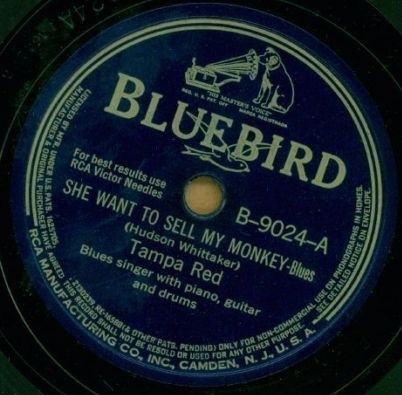 By 1942, Tampa Red was releasing singles via RCA Victor’s Bluebird imprint. This just happened to coincide with the most successful period of his career. Tampa Red was a truly prolific artist. During his career, who recorded in excess of 300 sides. This included the single You Better Be Ready To Go. It featured Don’t Deal With The Devil on the flip side. 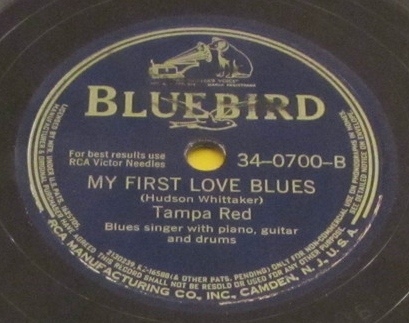 Tampa Red had recorded both tracks in June 1941, but didn’t release them until 1942. Later that year, She Wants To Sell My Monkey was released as a single with Mean and Evil Woman on the flip side. These two tracks had been recorded at a session on 6th February 1942. Both singles sold well, but nowhere near as good as Tampa Red’s third single of 1942. Despite Tampa Red being an experienced solo artist, he had never experienced the success enjoyed with Let Me Play With Your Poodle. It was recorded at a session with Big Maceo Merriweather and Clifford “Snags” Jones. That day four tracks were recorded, including Let Me Play With Your Poodle and the B-Side My First Love Blues on the B-Side. On the release of Let Me Play With Your Poodle, it surpassed the success of Tampa Red’s previous singles, reaching number four in the US R&B charts. Little did Tampa Red know that was the most successful single of his career. 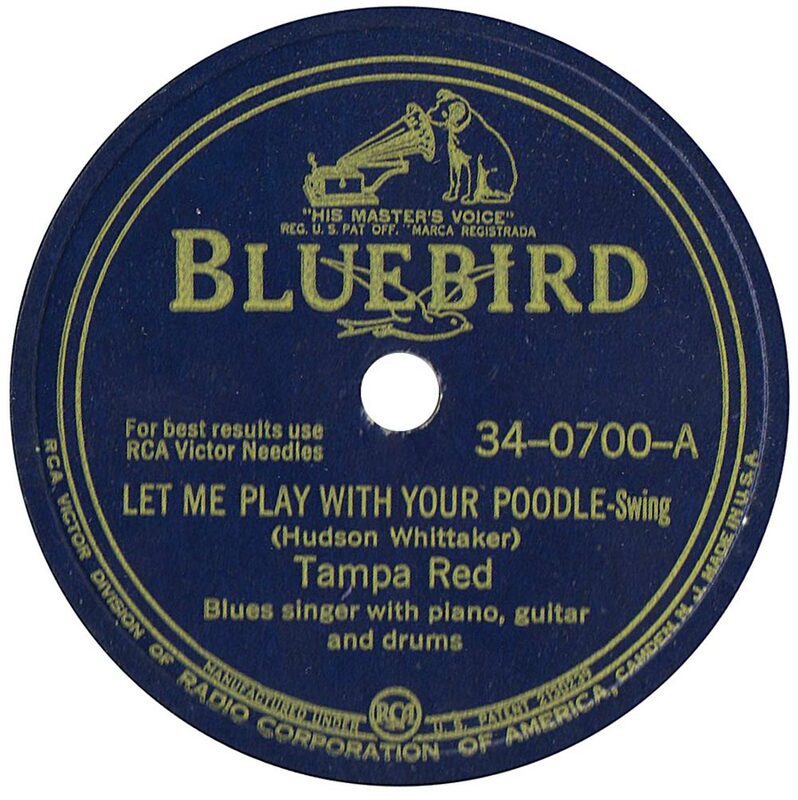 After the recording session in February 1942, Tampa Red only released two more songs during 1942. I Got My Habits On and Mary Lou Blues were recorded with Big Maceo Merriweather and Clifford “Snags” Jones on 28th July 1942. Neither track was released until now, when they make their debut on Dynamite! The Unsung King Of The Blues. These were the last tracks Tampa Red recorded until December 1944 due to the musicians strike by the American Federation of Musicians. On 15th December 1944, after over two ways away from the recording studio, Tampa Red was back. He recorded Detroit Blues with Blind John Davis and Ransom Knowling. It was released as a single on Bluebird on 1945. This was Tampa Red’s first single for three years. However, it was a return to form from the veteran blues man. In July 1946, Big Maceo Merriweather and Charles “Chick” Sanders joined Tampa Red in the studio. The three men recorded Texas Stomp, which was released in 1946 bearing Big Maceo’s name. However, it features on Dynamite! The Unsung King Of The Blues. So do two tracks Tampa Red recorded later in 1945. Three months later, on 19th October 1945, Tampa Red returned to the studio. With Big Maceo Merriweather and Alfred Elkins, they recorded Corrine Blues and Play Proof Woman. Both tracks were released in 1947. By then, Tampa Red would’ve enjoyed another huge hit. February 1946 saw Tampa Red enter the studio with a five piece band. They accompanied him on Crying Won’t Help and Let’s Try It Again. 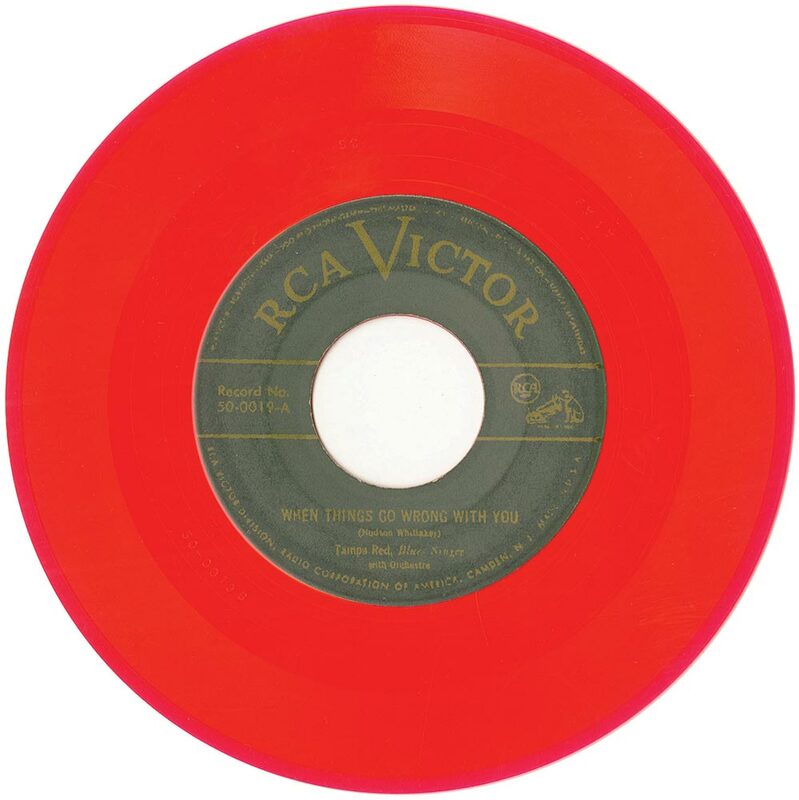 When Crying Won’t Help was released as a single later in 1946, it was on RCA Victor. No longer was Tampa Red signed to Bluebird. No. He had gone up in the world. This coincided with a successful period in Tampa Red’s career. It began when Crying Won’t Help reached number five in the US R&B charts. Tampa Red was one of the biggest selling blues men of the postwar years. Although Tampa Red was riding a wave of success, it wasn’t until 23rd September 1947, that he returned to the studio. Two tracks were cut, I Know My Baby Loves Me and You Better Woo Your Baby. Then in October 31st 1947, Tampa Red returned to the studio. With a second musician’s strike looming, record companies were keen to have plenty of music recorded. So Tampa Red, with a five piece band accompanying him, recorded another three tracks. I’ll Dig You Sooner Or Later and Roamin’ And Ramblin’ were released in 1946. However, Keep Jumping was kept in reserve by RCA Victor. By then, it was looking increasingly likely that the dispute wasn’t going to be resolved. That proved to be the case. As the clock struck 00.01 on 1st January 1948, the second Petrillo ban came into force. Record companies were better prepared. Not only had they been recording music during the past few weeks, but since the last ban. They were determined that never again, would they be help to ransom by a union. This was all very well, but for artists like Tampa Red, the future looked uncertain. It wasn’t until early 1949 that the musician’s strike was resolved. Caesar Petrillo had gone into battle for the musician’s union members and one. With victory secured, now his members could get back to what they did best, making music. On 24th March 1949, Tampa Red was joined in the studio by Little Johnnie Jones, Odie Payne and Ransom Knowling. They recorded a trio of tracks; It’s A Brand New Boogey, When Things Go Wrong With You (It Hurts Me Too) and Please Try To See It My Way. After almost two years away, Tampa Red sounded even better. It was as if he had been reinvigorated, and was able to breath meaning and emotion into the lyrics. His hand picked band compliment him perfectly. Surely, these tracks would give Tampa Red a hit single? It’s A Brand New Boogey and When Things Go Wrong With You (It Hurts Me Too) were released in 1949. When Things Go Wrong With You (It Hurts Me Too) was released reached number nine in the US R&B charts. This was Tampa Red’s biggest hit since the musicians strike ended. Buoyed by another hit single, Tampa Red returned to the studio. Another four months passed before Tampa Red returned to the studio on 21st July 1949. During that period, Tampa Red was playing live and writing songs. So when he entered the studio, he had a couple of new song, That’s Her Own Business which was released in 1949, and It’s Too Late Now which was released in 1950. So was Please Try To See It My Way, which had been recorded in March 1949. It’s the latest of the tracks on disc two of Dynamite! The Unsung King Of The Blues. They were recorded between 24th June 1941 and 21st June 1949. However, disc two of Dynamite! The Unsung King Of The Blues features the period between 7th March 1950 and 4th December 1953. The period that disc one of Dynamite! The Unsung King Of The Blues begins on 7th March 1950. That’s when Tampa Red and his band of Little Johnnie Jones, Odie Payne and Ransom Knowling returned to the studio. They recorded 1950 Blues, Love Her With A Feelin’, It’s Good Like That and New Deal Blues which features on disc one. These tracks would be released as singles later in 1950. 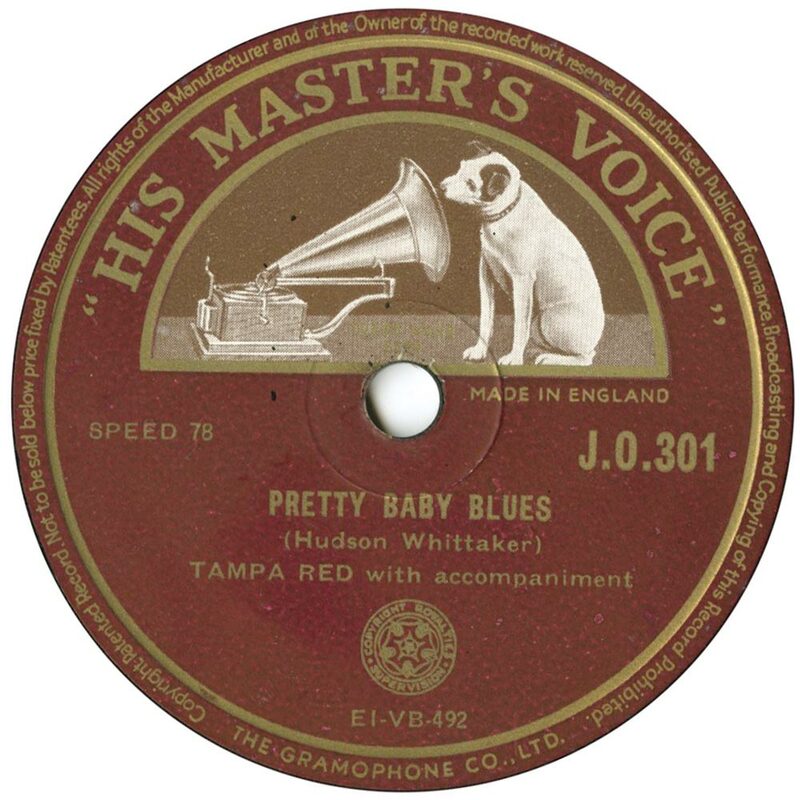 For the first single, 1950 Blues was chosen as a single. On the B-Side was Love Her With A Feelin’. The followup was It’s Good Like That with New Deal Blues on the B-Side. Both singles sold well, but didn’t match the success of When Things Go Wrong With You (They Hurt Me Too). So the search for Tampa Red’s next single continued. Tampa Red and his band reconvened on 5th November 1950. They recorded another three tracks, Sweet Little Angel, Midnight Boogie and I Miss My Lovin’ Blues. Midnight Boogie was released with I Miss My Lovin’ Blues as a single in 1951. Both songs oozed quality, but never came close to matching the commercial success of some of Tampa Red’s earlier singles. Over the next four years, this would become a familiar story. Music was about to change, and change beyond recognition. After a five month gap, Tampa Red returned to the studio to record his new single in March 1951. Three tracks were recorded by Tampa Red and his usual band, She’s Dynamite, Pretty Baby Blues and Early In The Morning. Later in 1951, She’s Dynamite was released as a single. Early In The Morning was chosen as the flip side. While it didn’t give Tampa Red that elusive hit single, Pretty Baby Blues did. It reached number seven in the US R&B charts. Little did Tampa Red realise this, but it was the last major hit single of his career. On 28th July 1951, Tampa Red and his band cut another three tracks, She’s A Cool Operator, I Won’t Let Her Do It and Green And Lucky Blues. Without doubt, the highlight of the session was She’s A Cool Operator. It was chosen as a single, and paired with Green And Lucky Blues. However, Tampa Red’s was out of luck. In 1952, it was twenty years since Tampa Red and Georgia Tommy Dorsey went their separate ways. Since then, Tampa Red had been heralded as one of the most influential and innovative bluesmen. He was also one of the most successful bluesmen of the past twenty years. However, hits were getting hard to find. Having recorded I’m Gonna Put You Down, But I Forgive You and Look A There, Look A There on 21st April 1952, Tampa Red chose But I Forgive You as a single. On the flip side was I’m Gonna Put You Down. When But I Forgive You was released it wasn’t a commercial success. Look A There, Look A There was then released as a single. History repeated itself. This wasn’t the way Tampa Red wanted to celebrate twenty years as a solo artist. So in 17th November 1952, Tampa Red recorded Too Late, Too Long, I’ll Never Let You Go and Got A Mind To Leave This Town. Of the three tracks, Too Late, Too Long was released as a single in 1953, with I’ll Never Let You Go on the B-Side. Again, commercial success eluded Tampa Red. This was becoming a habit. By September 1953, it was nearly two years since Tampa Red enjoyed a hit single. With a new five piece band in tow, he recorded So Crazy About You, Baby, If She Don’t Come Back and So Much Trouble. In 1954, So Crazy About You was released as a single, with So Much Trouble on the flip side. It was a familiar story, when the single wasn’t a commercial success. Part of the problem was, that rock ’n’ roll had just been born. To many record buyers, the blues was the music of the past. Despite that, Tampa Red wasn’t going to give up. On 4th December 1953, which is the last recording session documented The Unsung King Of The Blues, Tampa Red and his band recored four tracks. They were Evalena, Big Stars Falling Blues, Rambler’s Blues and (If I Don’t Find Another) True Love. Only Big Stars Falling Blues was released as a single in America, while Rambler’s Blues was released in Britain. Neither single were a commercial success, despite their undoubtable quality. This wasn’t the end of Tampa Red. The birth of rock ’n’ roll spelt bad news for the blues. It quickly fell out fashion. While Tampa Red and other blues players still played live and released singles, they were no longer the big draws they had once been. However, by the sixties, the blues was back in fashion. Championing the blues were the new breed of rock ’n’ roll group, including The Rolling Stones, The Beatles and The Animals. So did John Mayall and Eric Clapton. Both were fervent champions of the blues. They too, were determined to introduce the blues and to a new audience. So often, when they headed out on tour in the mid-sixties, a blues artist was the opening act. Suddenly, Muddy Waters and Howlin’ Wolf were being heard by a new audience. This extended to Tampa Red. The new generation of rock ’n’ roll fans were suddenly listening to Tampa Red’s records. This resulted in a resurgence of interest in Tampa Red’s music. It lasted well into the sixties, with new labels being setup to release blues music. However, blues music’s glory day’s were long gone. Good as it was, to see legends of blues music make a comeback, nothing lasts forever. By the end of the sixties, many blues artists had faded back into obscurity. They struggled to make a living. Some were even forced back into civvy street. However, the decline in popularity of blues music was the least of Tampa Red’s worries. Ever since his wife died in 1953, Tampa Red began the slow descent into full blown alcoholism. As Tampa Red grieved, he sought solace in a bottle. For this once proud and shrewd man, the story wasn’t going to end well. Over the next twenty-eight years, Tampa Red bravely battled alcoholism. Sadly, it got the better of him, and on March 19th 1981 Tampa Red died. He was penniless and homeless. It was quite a fall to grace for one of unsung heroes of the blues. Tampa Red was, without doubt, one of the most influential blues guitarists ever. He was at his most productive, successful and innovative between 7th March 1942 and 4th December 1953, the period that Dynamite! The Unsung King Of The Blues covers. 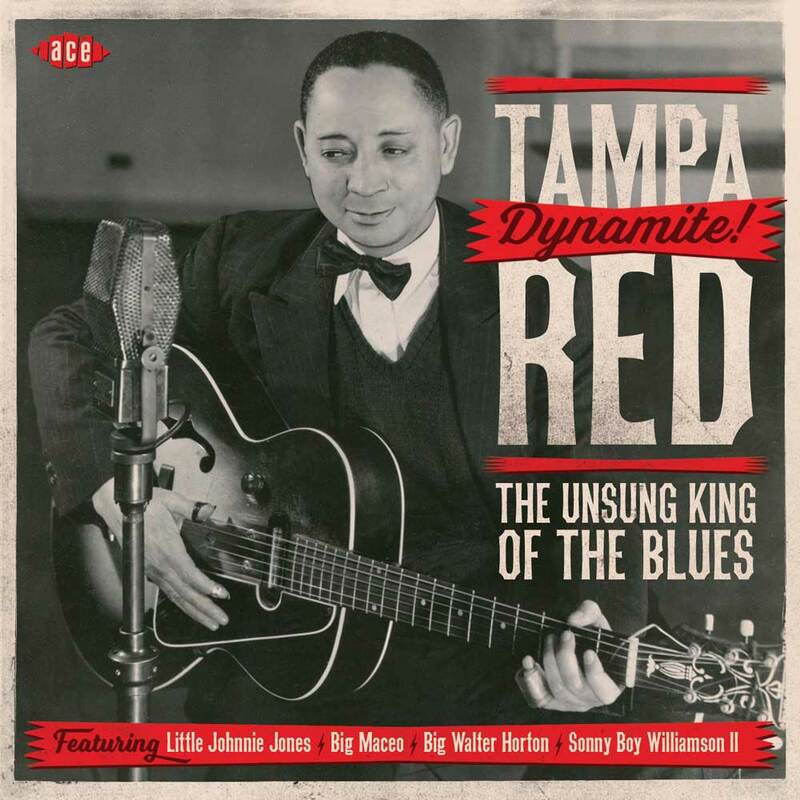 It was recently released by Ace Records and is the perfect introduction to Tampa Red, a true legend of blues music.